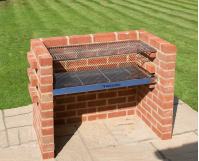 At Black Knight, Heavy Duty means Heavy Duty and The 100% stainless steel Large brick bbq kit is such great quality that we back it with a 5 year manufacturers warranty against faulty materials and workmanship. We use 100% food grade, non magnetic stainless steel with a satin finish to reduce the glare from the sun when cooking. 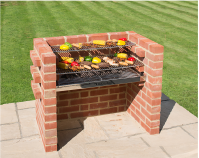 Our kits are the ONLY brick BBQ kits in the UK that conform to BS EN 1860:2013-1 for safety and quality so you can buy with total confidence.